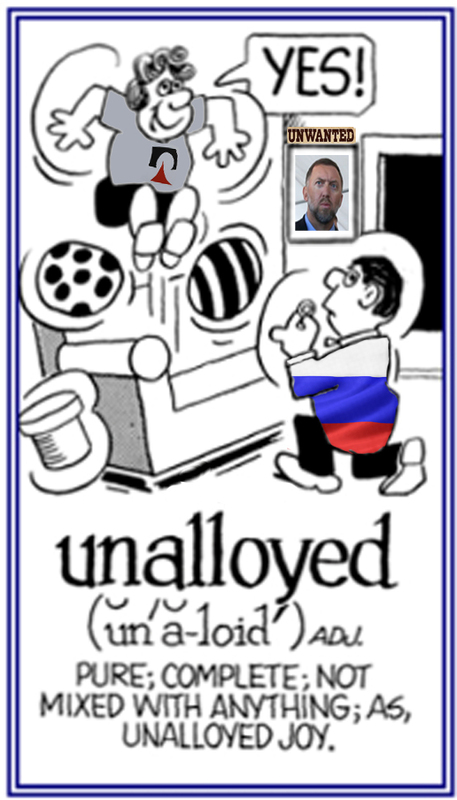 There are many Russian reasons why no Russian, man or woman, has trusted Oleg Deripaska (lead picture, on the wall), control shareholder and chief executive of the state aluminium monopoly Rusal (Russian Aluminium), for more than a few months at a time. The reasons have varied from business to business, contract to contract, individual to individual. But now that the US Treasury has put Deripaska and Rusal out of business, one week before the Russian General Staff demonstrated that it can put the air forces of the US out of the attack business, the plan for the future of Rusal is simple. There are six points under discussion in the Kremlin. President Vladimir Putin must decide and announce his running orders; appoint a Russian military officer with at least one tour under fire in Syria to implement the orders; and retire Deripaska from command of anything of state importance. 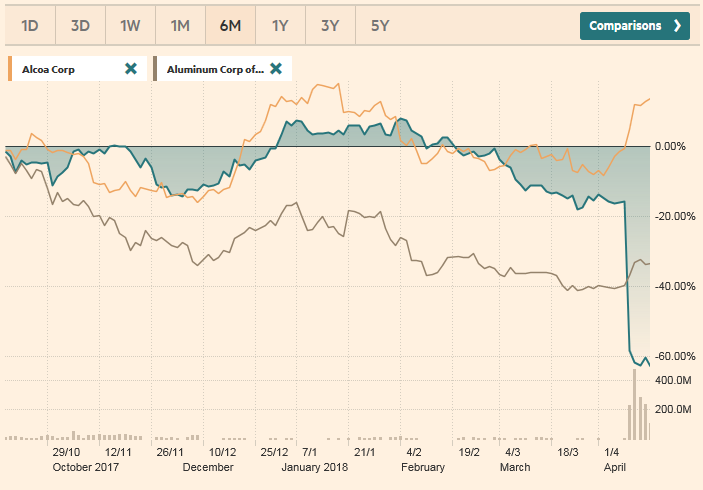 Since Standard Bank London vetoed Deripaska’s first application for an international bank loan in 1999, the markets have always reported good reasons for investing in Russian aluminium – the metal business that is, not the chief executive and control shareholder of the company. A decade later, in January 2010, the company was able to start selling its shares on the Hong Kong Stock Exchange despite unprecedented warnings and disclaimers in the prospectus, and the refusal of Goldman Sachs to underwrite the initial public offering. Instead, Deripaska persuaded the governments of Libya, Russia and China to underwrite him. The Kremlin decided to exclude the Libyans, and the Chinese agreed to join in the guarantee of Deripaska’s performance on condition this could be transferred in the last resort to a Russian state bank. The Chinese expected Rusal would do no worse than the price of aluminium; that the Russian state banks would cover Deripaska from default; and that in time there would be enough profitability in aluminium to clear the debts Deripaska had run up, and ensure he didn’t divert the profits. The story of what Deripaska was doing behind the scenes at the Hong Kong Stock Exchange led to his attempt to shoot me in the head in December 2009. The Moscow police foiled the attack; arrested the gunmen and obtained their confessions; Deripaska’s role was subsequently exposed in Moscow city court proceedings. Last week, despite years of Deripaska’s rewards and inducements for high officials in Washington, the US Government decided to shoot Deripaska in an equally vulnerable organ, his pocket. At the time of the sanction announcement on April 6, the aluminium price had been falling steadily since it peaked last December and again in February. Before April 6, Rusal’s share price had been trading above HK$4. This was less than half the price of HK$10.80 at which the company first listed on the exchange eight years ago. Today it is down to HK$1.55. Rusal’s financial results for 2017 had demonstrated reason for optimism so long as the metal price didn’t dive too often or too deeply. The year’s revenues had come in at $9 billion; operating income, $1.5 billion; bottom-line profit, $1.2 billion – all solid improvements over the year before. Rusal’s gross debt was $8.5 billion, down from $9 billion on June 30, 2017. 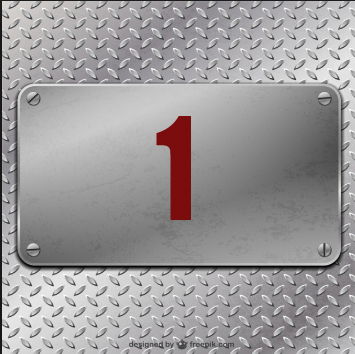 However, confidence in the aluminium price and confidence in Deripaska failed to materialize and combine when he launched the initial public offering of EN+, a combination of Rusal with Deripaska’s energy production assets, on the London Stock Exchange last November; for that story, click. The practical reality for Rusal and EN+ is that they are the semi-nationalized operations of the Russian state banks; Deripaska is their trustee. Even the Chinese investor whom Deripaska claimed to have lined up for the EN+ share sale was a phantom; behind it stood, not the state-owned China Development Bank, as Deripaska leaked to the press, but the Russian state bank VTB. The threat and risk of US sanctions targeting Deripaska were first reported on July 3, 2017; read that story here. Notwithstanding the risk, since the start of US economic warfare against Russia in 2014, Deripaska continued increasing the volume of his business with the US – he was the only Russian oligarch to expose his business in this fashion. What motivated this may have been less Deripaska’s confidence in his lobbying in Washington than the insistence of Glencore, Rusal’s principal trader, that it could generate more profit on metal warehoused and sold in the US than in any of Rusal’s traditional markets. The miscalculation has been catastrophic. The April 6 decision by the US Treasury to impose the sanction has caused a precipitous drop in the value of Rusal shares; this is likely to be permanent. Glencore’s 8.9% stake in Rusal is now worthless; its payables and receivables for Rusal’s metal appear to be in limbo. Deripaska’s creditworthiness is zero in US-controlled financial markets, and in Chinese ones. Because the Russian aluminium business is a national security imperative, and the government has no alternative but to protect it, decisions must be taken by the Kremlin for strategic reform of Rusal. This is an opportunity for reorganization which many Russian officials of the state, and of the aluminium, electricity and banking sectors, have long advocated. Their advice has always been overruled by high state officials in Deripaska’s pay. The most recent disclosure of this was the story of Sergei Prikhodko, chief of staff at the prime ministry, reported here. Russian government and state bank officials are now arguing with Deripaska over the six points in the plan for Rusal reform. It’s not the US Treasury’s or Alcoa’s plan for the future of Russian aluminium. It’s not Deripaska’s wish-list. It’s the plan which puts Russia back into Rusal – it leaves Deripaska out. The first and biggest of Deripaska’s business mistakes was to destroy Rusal’s business model as a vertically integrated producer of bauxite, alumina, aluminium ingot, and most types of downstream aluminium product in sheet or pressed and extruded form. This is also the model of Alcoa in the US. Instead, Deripaska turned Rusal into mining raw materials and smelting primary aluminium. That was advantageous for the man, not for the country, because Deripaska personally stood to make much more profit from exporting the metal and keeping the profits abroad. Reorganizing the Rusal group requires the revival of downstream metal fabrication, and a shift of company revenues and earnings from foreign to domestic sales. This reorganization has sharp consequences for the tax and dividend lines of the Rusal balance-sheet. To achieve this requires a bankruptcy, liquidation or sanitation procedure initiated by the state banks. Rusal has suspended its website, so it is impossible to be precise about how much the state banks are currently owed by both Rusal and EN+, compared to foreign banks. In restructuring Rusal’s Russian debt the state banks have the power to take over, by default and forfeit, the 48% shareholding controlled by Deripaska. That block of shares also involves special stakes and rights which Deripaska has concealed on behalf of the Yeltsin family and other silent Russian partners. For the details of the so-called redeemable shares, click to open here and follow the Jersey trail. 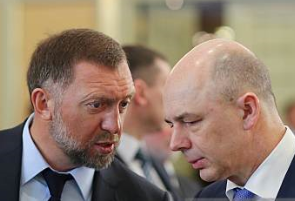 When Finance Minister Siluanov said he is against a state takeover of Rusal shares, he meant to allow Deripaska and his associates to keep their shareholdings in secret. The US Treasury won’t be as tolerant of this flimflam as the Kremlin has been to date. Only a transparent de-offshorization of the shareholding can survive sanctions. This means nationalization. The foreign banks holding Rusal debt and the international holders of Rusal bonds may be offered conversion, deferred redemption, or cash-out options for their stakes in roubles, not in US dollars. To assist this process, the Russian Government must clarify the legal effect of the force majeure provisions in Rusal’s contracts by officially identifying the US Treasury sanction as an act of war. That Deripaska failed to act for the company’s interest when this risk was foreseeable may be a ground for legal contest in some foreign courts. Another of Deripaska’s big business mistakes was to put a stop to Rusal’s policy for trading its metal in export markets through its own trading company and for its own account. The secret terms of Zug-based Glencore’s appointment as Rusal’s principal trader were decided between Deripaska and Glencore’s chief executive Ivan Glasenberg at the end of 2008; at the time, their deal was rationalized inside the Rusal management and board of directors as an emergency measure. Because of the collapse of aluminium demand and prices was exposing Rusal to bankruptcy, Glencore provided cash in advance of sales and stored the metal for which there were no buyers. Left to right: Oleg Deripaska with Ivan Glasenberg; Victor Vekselberg. Vekselberg and his Renova group have also been sanctioned in the April proscription issued by the US Treasury’s Office of Foreign Assets Control (OFAC) , so he cannot gain control of Rusal in Deripaska’s place. The terms were subsequently challenged in litigation in London by minority shareholder and board member, Victor Vekselberg; for details, read this. Deripaska and Glasenberg continued to work together in schemes for warehousing aluminium which downstream consumers of the metal, especially US-based metal canners, have challenged as supply and price-rigging; read for more. Glencore’s share of Rusal’s revenue has never been disclosed. The US sanction eliminates Glencore from Rusal’s future. 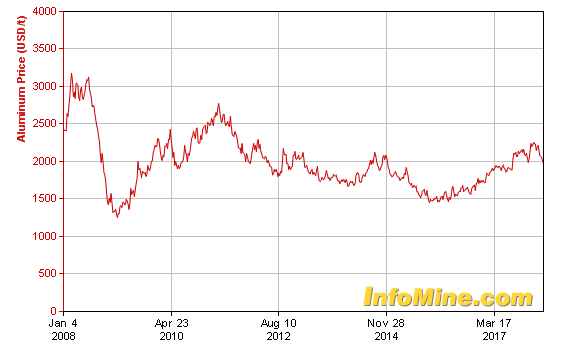 That used to be good for Rusal, the company management believed until 2008. They think it will be good again. In the short run, Rusal’s plants must continue to produce at planned volumes. But it will take time for the domestic market, and also for foreign markets not under American control, to be reorganized for the successor to Rusal, the new aluminium company of Russia (ALCORUS), to start deliveries. In the interval there will be a lag between production and sales. To keep the smelters going and prevent the surplus supply damaging the price of the metal, the state can agree to stockpile aluminium. The finance ministry is opposed, as Siluanov said last week, because of the cost in budget outlay. But in the emergency of 2008, this was done for the state diamond miner, Alrosa. It can be done again, but not on the terms which Deripaska applied for 2008. He and the non-state shareholders of Rusal cannot earn a profit from the stockpiling. The sixth point of the Rusal reorganization plan is also the precondition for implementing the first five points. The OFAC sanction is an act of war against Russia. But in this war not all the enemy’s targets have equal value; some of them are expendable for the greater good; some should be buried, and others promoted in their place. Deripaska is now arguing that he has been targeted by the Americans for his good soldiering on Putin’s behalf, so the Kremlin should reciprocate and protect him. The issue for the Kremlin to decide – for the government to be appointed after May 7 – is whether the future of Russian aluminium is of greater value to the state than the future of Deripaska. This oughtn’t to be a difficult choice to weigh. Also, there are a great many talented individuals – specialists in bauxite, alumina, metal smelting, and other segments of the business — whom Deripaska hurt over the past 20 years, who may be recruited to return. As for the leadership of the business in wartime conditions, only one group of Russians has shown the qualities required to succeed, and they have succeeded demonstrably against American attack. They are the military. Recruiting senior officers to the command of the new state company isn’t unprecedented, neither in Russia nor in other countries. Before the US Treasury acted, the markets had already demonstrated that Deripaska was a liability for Rusal, not an asset.